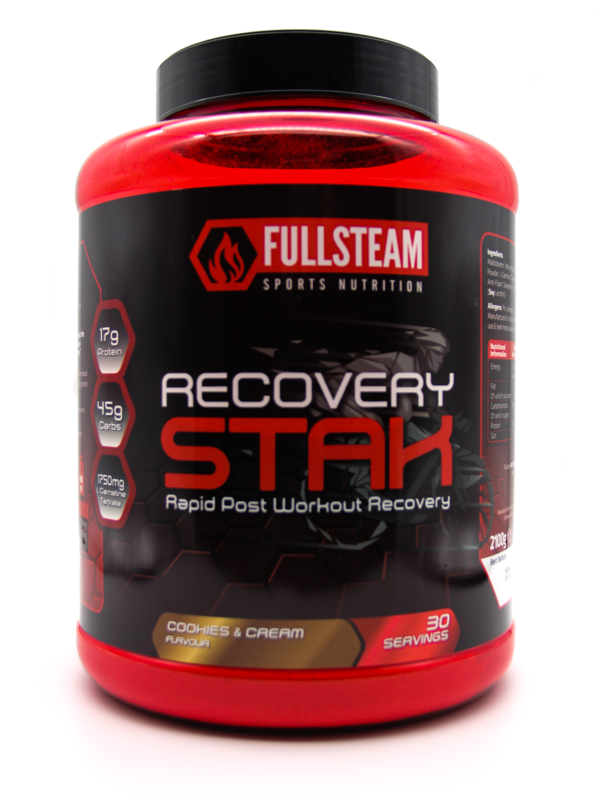 Fullsteam’s RECOVERYSTAK is a great tasting fast-acting all in one recovery product designed for endurance athletes. – Rapid recovery formula for athletes looking to train again as soon as possible. – Contains 17g of High Quality Whey Protein Concentrate. – Contains 45g of Carbohydrates to achieve a 3:1 Carbohydrate to Protein Ratio. – Further support for endurance athletes with the inclusion of Vitamin C, Choline and L-Carnitine Tartrate. 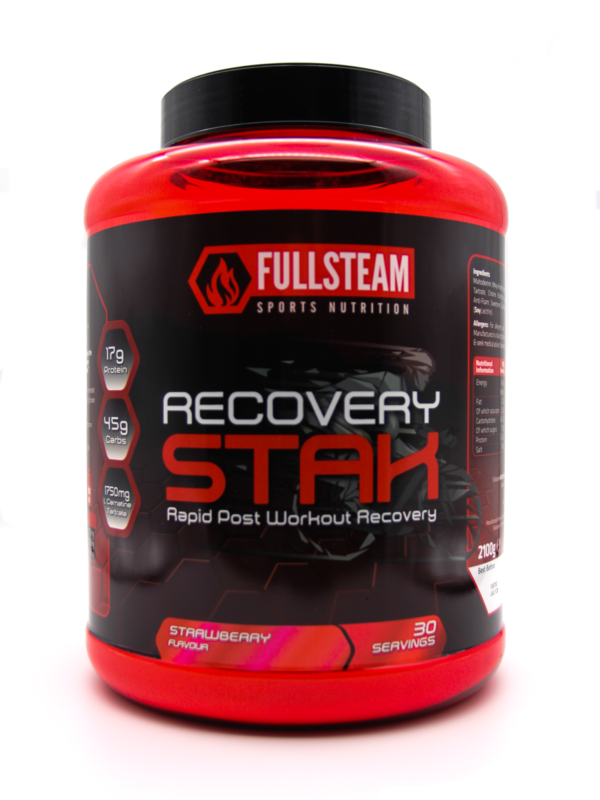 Fullsteam’s RECOVERYSTAK is a great tasting fast-acting all in one recovery product for athletes. Containing a 3:1 blend of Carbohydrate and Protein as well as our athlete support system you’ll bounce back faster and be ready to go again sooner. With a 3:1 Carbohydrate to protein ratio RECOVERYSTAK is designed to take maximum advantage of the window post training, where ingesting carbohydrates can rapidly recharge your glycogen stores so you are ready to take on the next training session as soon as possible. RECOVERYSTAK further supports your health and recovery through the addition of the recommended amounts of L-Carnitine Tartrate, Sodium, Choline & Vitamin C.
L Carnitine has been the subject of lots of hype and intense study over the last 30 years in endurance sports with reported benefits in studies from improved fat burning, reduced lactic acid build up and reducing the accumulation of metabolic wastes, thereby improving recovery. In order to optimise getting L-Carnitine into muscle we want to time its intake with a spike in Insulin. The optimal time to spike insulin is with a high volume of carbohydrates immediately post workout. 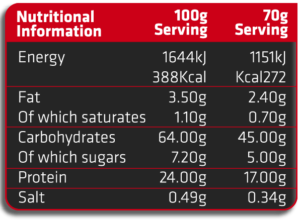 Thats why RECOVERYSTAK is formulated to deliver 1.75g of L-Carnitine-L-Tartate per serving in combination with the proper carbohydrate and protein ratios to maximise your recovery. This essential vitamin is important for maintaining your immune function during and after exercise. It also protects cells from oxidative stress and increases iron absorption. Crucial for Liver health and avoiding a variety of health conditions Choline is often overlooked and deficient in the 21st century diet. Further Choline levels have been shown to drop in response to prolonged strenuous exercise hampering performance and impacting health. For truly rapid recovery aim to consume 1g of carbohydrate per kg of body weight shortly after completing your workout, with as much as possible within 30 minutes of finishing. Alongside protein our Recoverystak contain 45g of rapidly digesting carbohydrates which will take you most the way to your post workout requirements. You can have supreme confidence in the product quality and supply source. Each ingredient supplier must pass rigorous audits and checks before making the cut. Traceability, quality, and consistency are the three things we demand on every single ingredient.